AKIPRESS.COM - A solemn opening of the Days of Culture of Uzbekistan took place in the Palace of Mukams of the State Cultural Center in Ashgabat on November 13, the Turkmen Foreign Ministry said. Leaders and representatives of the cultural sphere of Turkmenistan, the public, diplomatic missions accredited in Ashgabat, mass media, student youth gathered to participate in the opening ceremony of the Days of Culture of the Republic of Uzbekistan in Turkmenistan in the Palace of Mukams of the State Cultural Center. Deputy Prime Minister of the Republic of Uzbekistan Tanzila Narbaeva, the head of the Uzbek delegation addressed to the participants and guests of the forum with the greetings and highlighted the importance of the campaign in development of cultural dialogue between the countries. 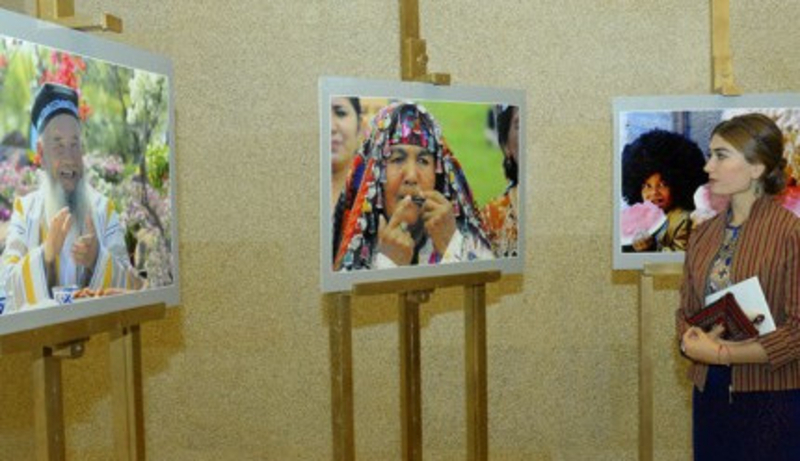 Within the framework of the Days of Culture of the Republic of Uzbekistan, an exhibition of photo art of a friendly country was opened in the foyer of the Mukams Palace. On the same day, the official delegation of Uzbekistan was received at the Ministry of Culture of Turkmenistan, where an exchange of views on the further development of Turkmen-Uzbek cooperation in the field of culture and art was held. On November 14, Uzbek film "Avicenna" will be featured, prose writers and poets of the two countries will meet in the State Library of the State Cultural Center, and in the evening Uzbek songs and melodies will be performed again in the Vatan cinema-concert center. The Days of Culture of the Republic of Uzbekistan will end on November 15 at the administrative center of the northern velayat - Dashoguz.